Rare corner location in sought-after area! Smart Great Rm plan offers 3 bdrms/3.5 baths,upstairs utility & loft,flexible space. Huge granite island kitchen & stainless steel appliances,looks to Great Rm w/gas fireplace & deck. End unit- A/C,larger garage,more storage & natural light, plus wrap around porch & side yard. 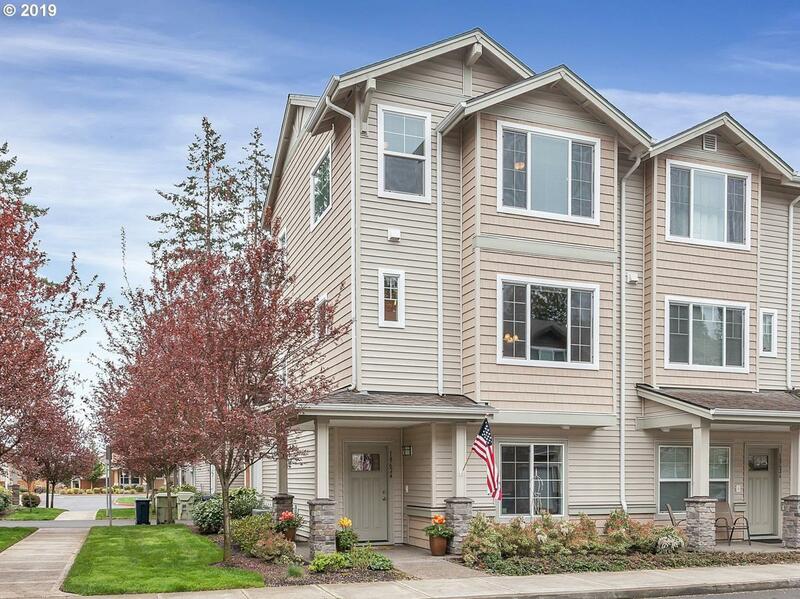 Maintenance-free suburban living, near Nike & Intel, parks, shopping & MAX line. Pristine Nbhd, pet friendly&park area!